A number of poker players across the world have made a career out of playing online poker for a living. Online poker allows players to play from the comfort of their home, work on their own time schedule and can be very lucrative when things are going your way. The downside to playing online poker is that the competition is getting tougher every day and in order to rake in a pile, you have to put in long hours, just about every day. Scott Palmer did all of this and was comfortable making a living playing online poker, until the United States cracked down on online poker sites and banned them. Scott was one of those poker players who was associated with Full Tilt Poker and had accumulated over 7 figures in winnings. 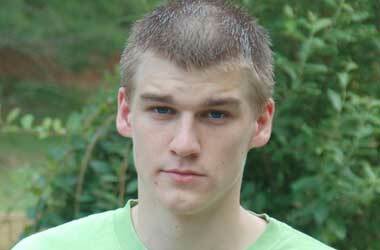 When Full Tilt Poker shut down, Scott’s money was also locked in and he was devastated. The ban on online poker resulted in Scott being stopped from making a living. While some poker players decided to continue their online poker careers by moving to Europe, Central America and Asia, Scott decided not to leave to U.S.
Scott gave up playing online poker for a living and occasionally travelled to Canada to try his hand at online poker. Scott found that the online poker market had become a lot more competitive and it took a lot more effort and patience to win small amounts of cash. Black Friday was pretty horrible for me. I had a ton of money online, most likely more than anyone else on Full Tilt—I’m not 100 percent positive, but it was definitely top three. It put me in a tough spot because I didn’t want to move overseas. I liked where I was at, so I had to decide to stay and be happy or move and make money. Scott decided to play at the 2014 WSOP main event which is currently taking place at the Rio which is expected to have more than a $10 million payout. Scott decided to enter this event by paying the $10,000 buy-in because he hopes to win the event and then retire from playing online poker. 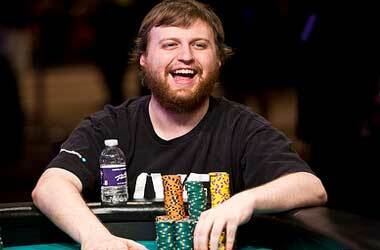 A win at the 2014 WSOP main event will bring Scott a lot more publicity and money than he ever dreamed off. While it may result in him walking away from online poker, it will most likely result in him making more live appearances at poker tournaments.